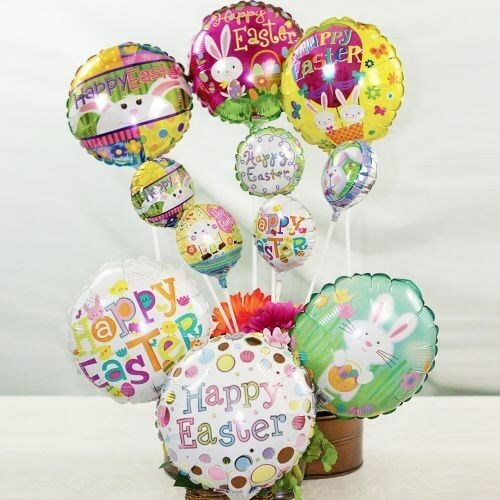 Finish off your Easter Plush and Easter Baskets with a fun Easter Mini Balloon! With two great sizes to choose from, you can either include a 4” balloon or a 9” balloon. Both sizes are perfect for any Easter gift idea! Each balloon includes a cap and stick. Some assembly may be required. Designs may vary. Additional Details Easter Balloons make an excellent addition to your Plush Easter Animal. Shop 800Bear.com for all of your Easter Gift Ideas.